No love is greater than that of a father for his son.. 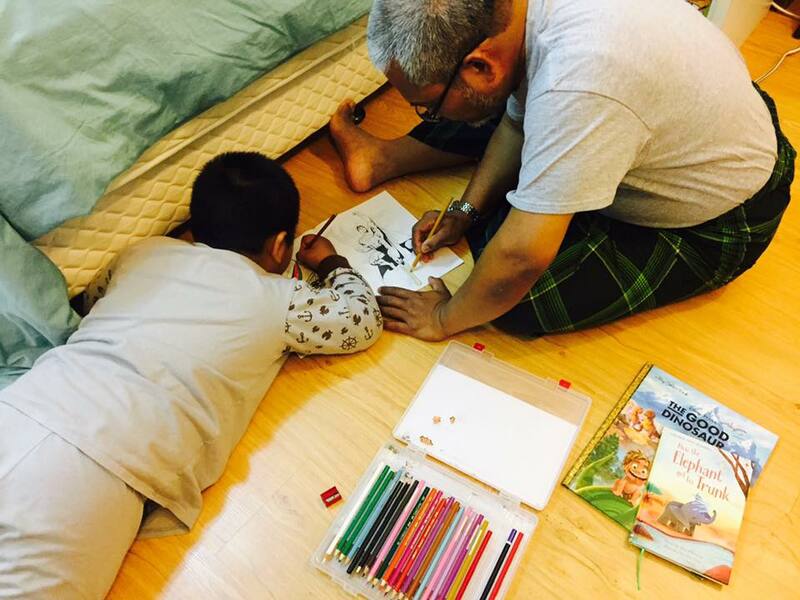 Even if he is 50+ but when his 5-year old son asked his Baba to come color with him, he did so. Despite the fact that he desperately need a good rest after a long day doing surgery and meeting patients. Despite that, he sat on the floor doing coloring with you, Tariq. That's love my beloved son. That is what we call love..
*I dedicate this post to all the wonderful fathers out there who work all day and then come back and play and spending time with their children. Salute! !